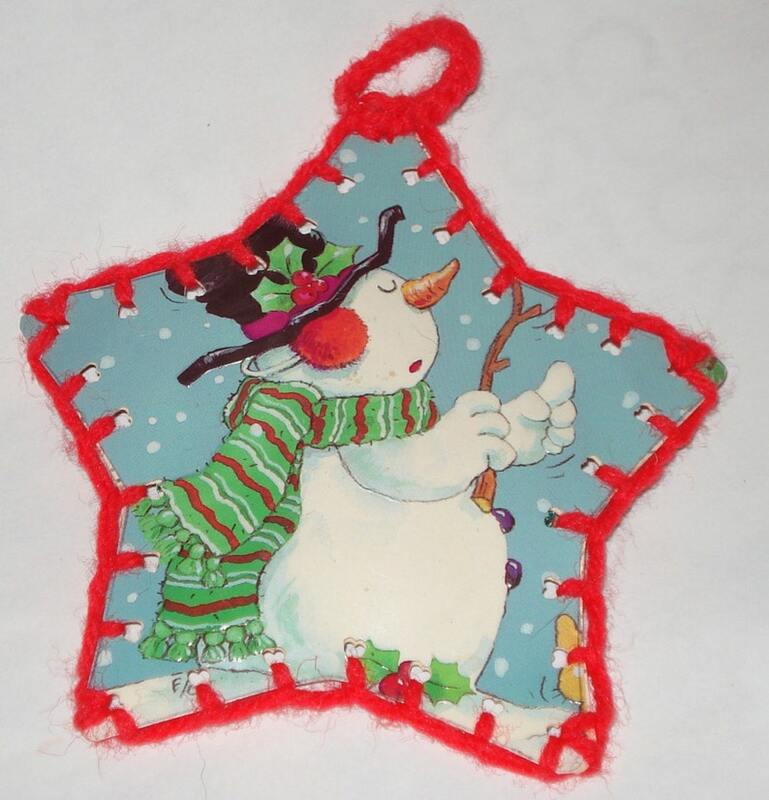 Vintage Christmas cards cut into a star shape and edges sewn with a blanket stitch to make this sweet holiday ornament. It was handcrafted. It is slightly stuffed. The snowman on one side and Mary with baby Jesus on the other. There are sequence on the side with Mary and baby Jesus, one sequence is missing, top left, please look at pictures. There is a remnant of a sequence on the side of Mary's face, please look at the picture. Questions? Please ask! Your idea of vintage and mine may differ.